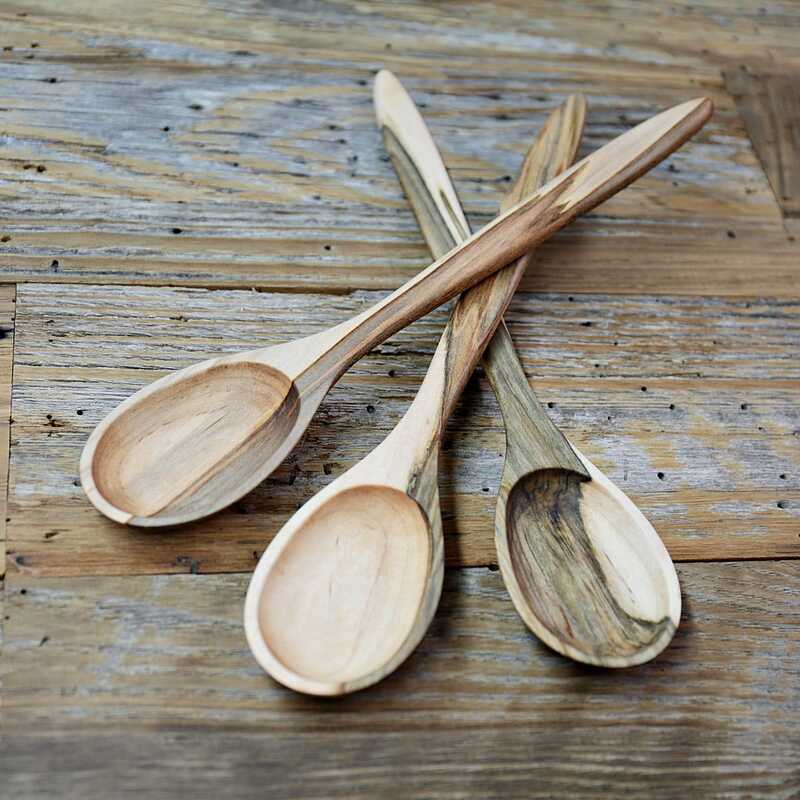 You will receive the maple spoon you select (providing it's available). 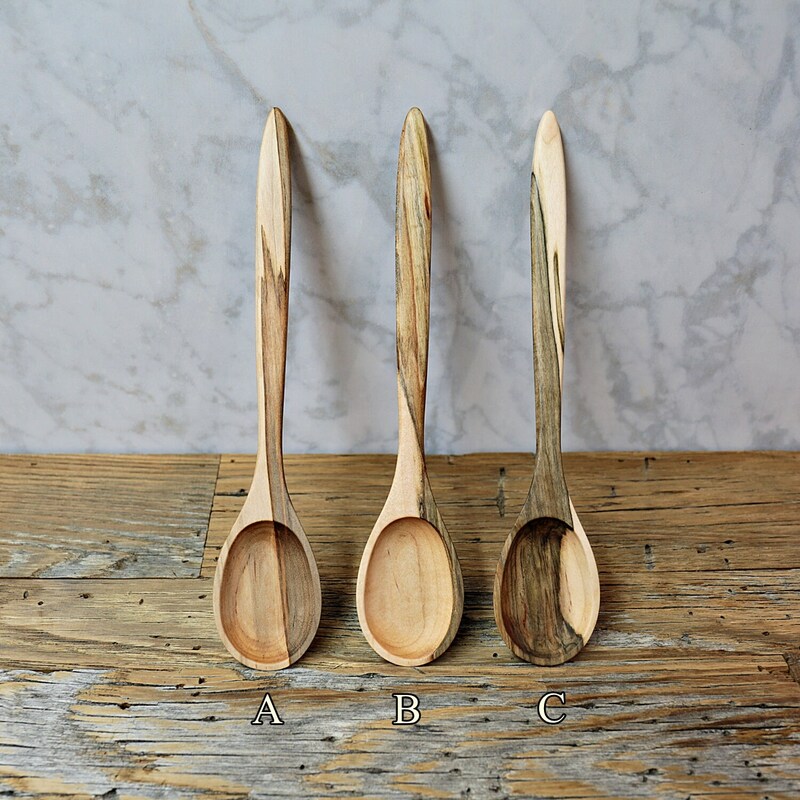 Simply make your choice (photo #2): A, B, or C. Whenever spoons are sold they will be shown out of stock and unavailable since they are one-of-a-kind. 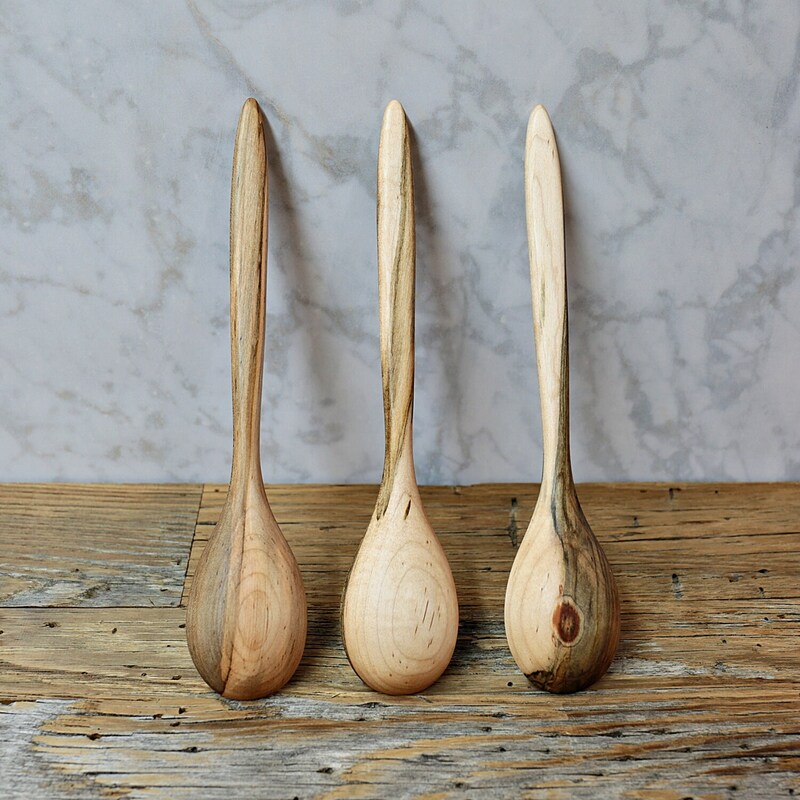 This purchase is for (1) wooden maple spoon. This style was designed with a nice taper in the handle. It was also crafted to feel comfortable while being used. Finished beeswax and mineral oil. The spoon was shipped very quickly. I'm very satisfied with the spoon.